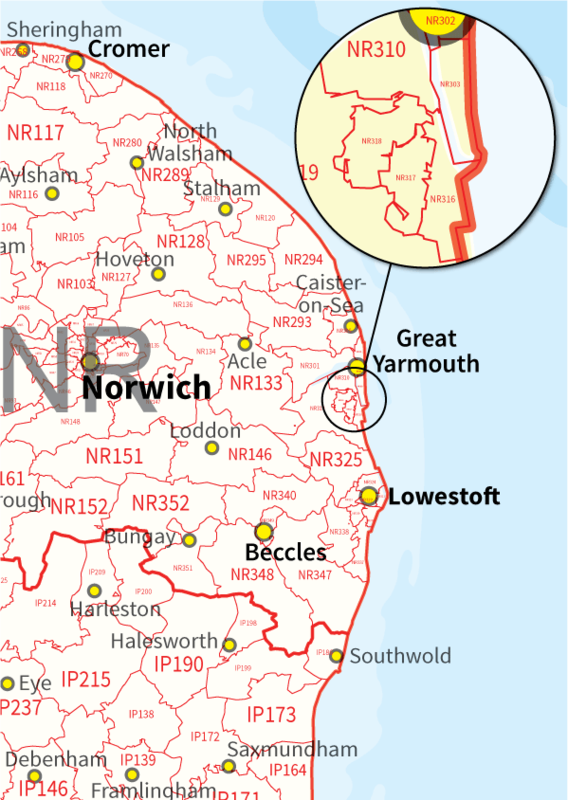 Buy 5-digit UK Postcode Sector, District and Area Map as a PDF, Illustrator, Powerpoint and Photoshop files. 124 Postcode Areas, over 3000 Postcode districts and over 11,000 UK Postcode Sectors make up our most detailed GB Postcode map. All shapes are vector editable and can be individually coloured and formatted. This is a very complex map and the files will require a powerful computer and Illustrator as a minimum.